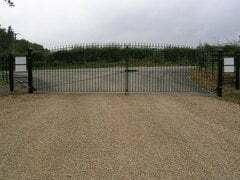 ASF design and manufacture steel hand railings, balustrades, fencing and gates. We can of course make the above to your own design, or match to any existing. All of our fencing is bespoke, so you know its going to fit! 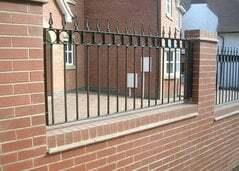 Finished in any colour you choose, railings etc would ordinarily be primed and top-coated using a high quality paint, but, if you wish, they can be galvanised, powder coated or even plastic coated.